Description: Don’t let the little pony fool you. Once the Prince gets a running start, you WILL be trampled. Does 2x damage once he gets charging. The first epic card you get. A very good one too. The Prince is known for destroying towers and castles. When you drop him, he will start charging at the enemy base after 2 seconds. Having a tank in front of Prince means you can deal a lot of damage to towers if your opponent doesn’t counter with small troops. Prince + Valkyrie – A good combo to prevent your Prince from getting swarmed by tombstone and melee small troops like barbarians or goblins. It is a heavy 9 elixir cost. Your opponent can follow up with Giant + any ranged small troop or Minion Horde + Dragon as a counter though. Prince + Dragon – This is employed to fight ranged troops for killing your Prince. Use this instead of Valkyrie if you think the opponent has plenty of ranged troops. Prince + Witch – Very deadly and my favorite. It cost 10 elixirs though. Use it if you want a strong wave push. 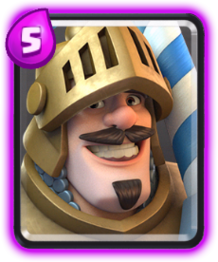 The Giant Skeleton + Musketeer or any ranged troop is a great counter to this. 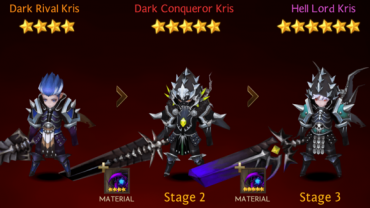 Prince + Ranged Troops – Another alternative to the dragon. Make sure to place your ranged troop very close to Prince as he will charge and leave your ranged troops lagging behind, making you miss out on backup damage. Prince + Mini PEKKA – Another deadly combo if you launch it on the opposite side of a defenseless building. This combo destroys towers and castles much faster than your standard small troops. Only use this if you know your opponent expended their elixir using small troops. Prince + Dark Prince – The best combo for dealing with melee troops similar to the Valkyrie. This is a higher level arena(7+) combo though. Skeleton Army(4 Elixir Cost) – This makes quick work of Prince if he is alone. That is why you use Valkyrie or Dragon for the AoE. You can use Arrows, but it is too slow for my liking. Tombstone(3 Elixir Cost) – Same as the Skeleton Army. Best used when the Prince charges near your tower. The Tombstone will get destroyed easily, but due to the slow attack speed of Prince, the 4 spawned skeletons will slow him down and the tower will kill the Prince. Melee Small Troop + Ranged Small Troop – This will stop Prince from doing damage to towers. However, if you like Arrows, it is a great counter to keep your Prince alive, provided that you hit all the small troops.